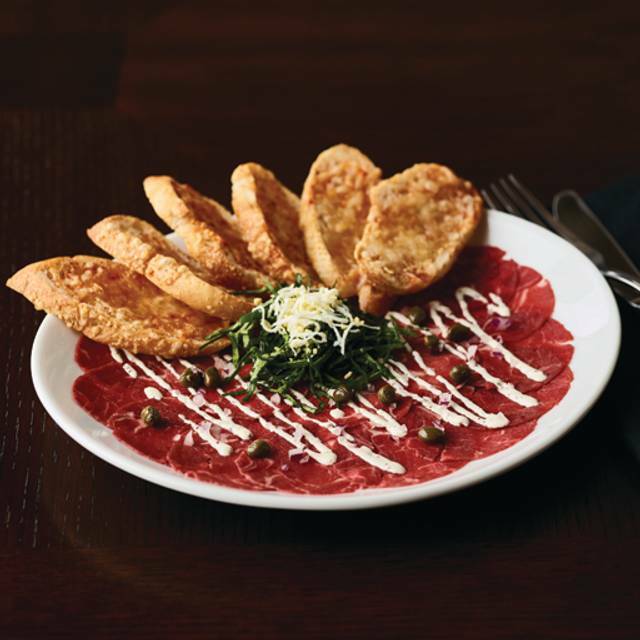 You must make reservations at least 5 minutes in advance of the time at Fleming's Steakhouse - Coral Gables. Your Coral Gables Fleming's is located on the corner of Ponce de Leon Boulevard and Andalusia, one block from the historic Miracle Mile. 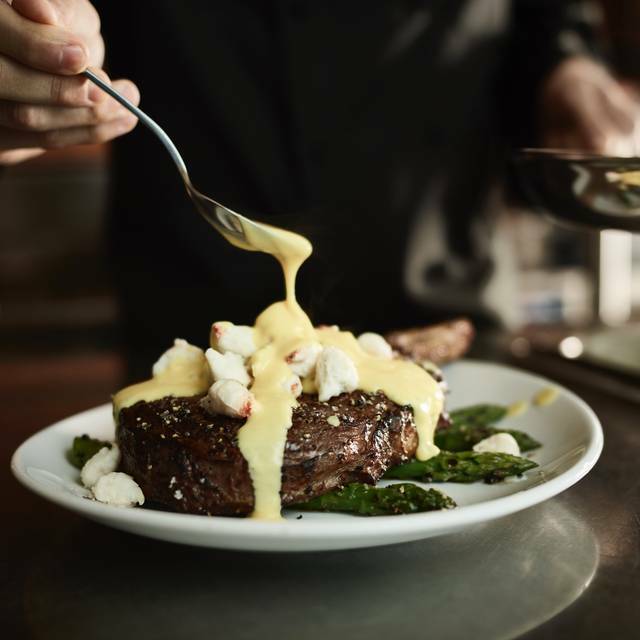 Whether you’re celebrating, dining with business clients or want a night out with friends, we have created the perfect ambiance with a menu filled with your favorites and a local chef’s table that changes with the season, or whenever we feel inspired by our ingredients. 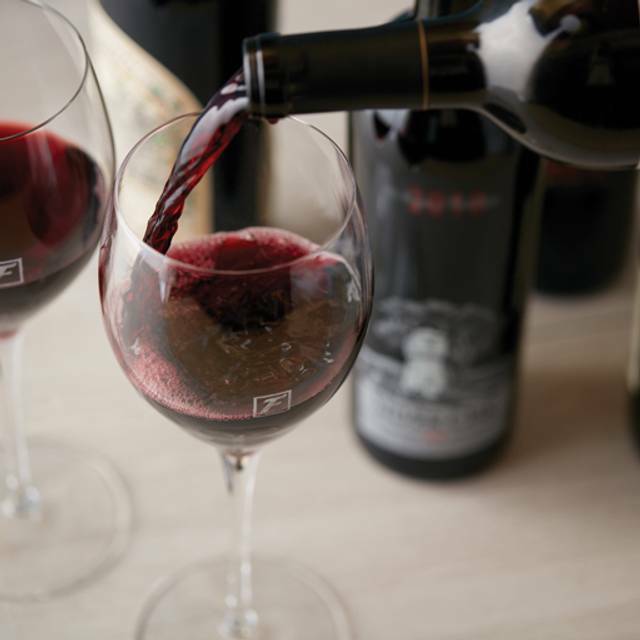 Our bar is always open and our wine manager has curated a wide selection of locally selected wines, hand-crafted cocktails and spirits. Need a more private space? Our Private Dining Director is at your service. Welcome to Your Coral Gables Fleming’s. It was my birthday and when we arrived the table had a rose, a birthday card and was sprinkled with silver sequins. The service and food were excellent. The dry aged rib eye was so tender and I always love having the Daoud Cabernet when there. They even called me the next day to see how our dinner was! We were seated and our table seemed great until the hostess seated a table with three children next to us and the 3 year old screamed so long and so loud that her father had to remove her from the table and take her outside. We all ordered steaks and my husband ordered his medium rare and it arrived almost well done. He was hungry so did not complain. The drinks took over half and hour to arrive from the bar which was not the server's fault. For four people, the bill was $424 which in our opinion was way too expensive. I ordered a bone-in filet that seemed fine but I only at about a third of it and took the rest home. When I reheated the next day, there was a huge tendon running through the meat that made it inedible and for $62.00, I would think the meat would be a better quality. I will think twice before returning to Fleming. Wonderful service and food!! They do not disappoint. Filet mignon was delicious and tender. Food and service was excellent!!!! Special kudos to operating manager Zory Mata that always greets us and assures great service. A bit pricy, IMO, but truly great food and service. Well worth a visit. Amazing food, great ambiance, awesome servers. Caring management that takes the time to make sure all is like you expect it to be. A favorite place for us. The food was amazing and the staff was very attentive. Great place for a date or event. Consistently great food and service. Fleming’s just seems to get everything perfect. Great food and great restaurant! Good staff and the ambiance is soothing. The food was excellent and our table got free Champagne. 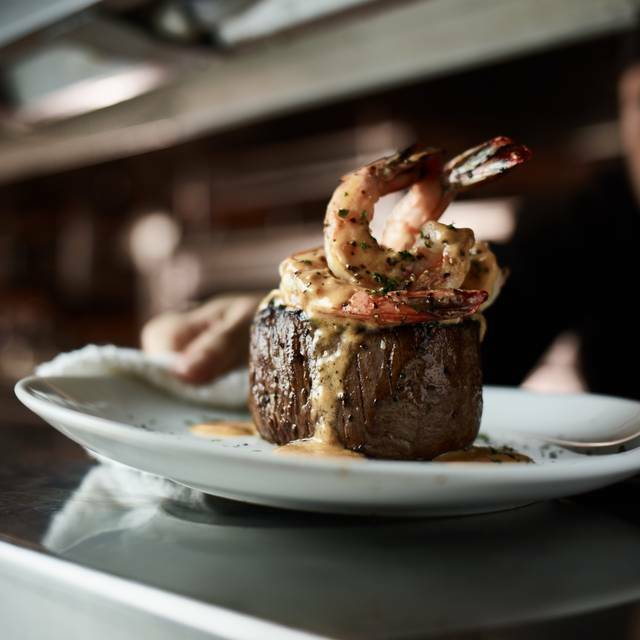 What sets Fleming's apart from other equally excellent quality steakhouses is their unique and second to none personalized customer service, more so if you become a regular customer! 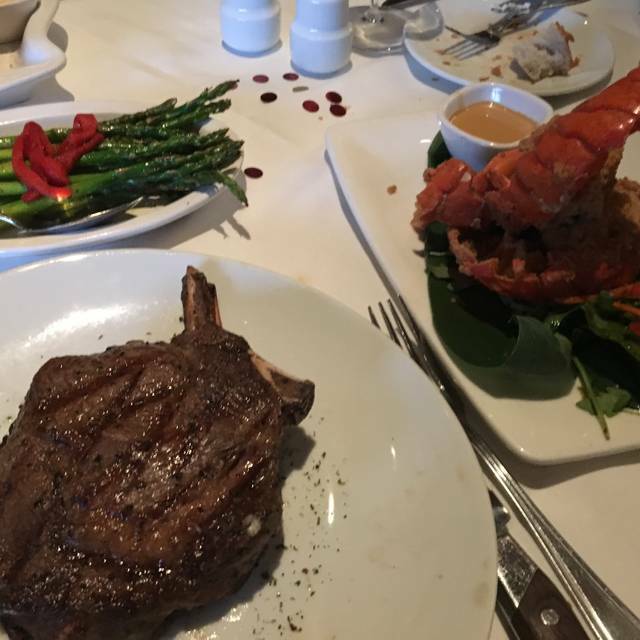 I will hands down highly recommend Fleming's Steakhouse to anyone! 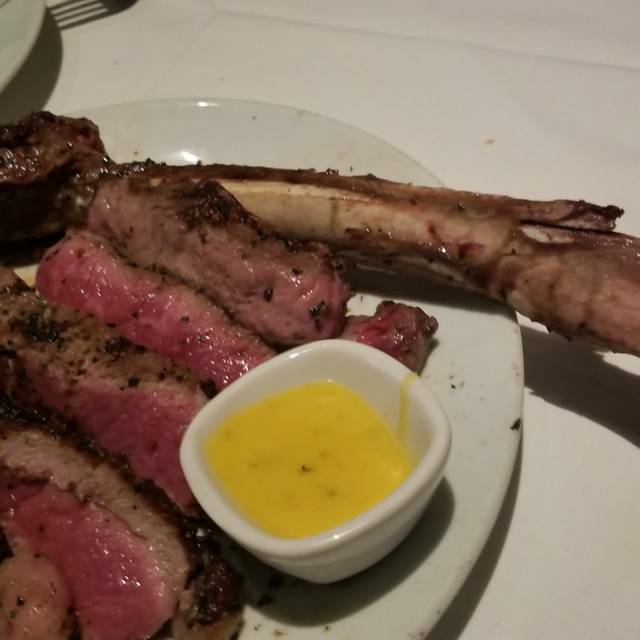 Food and service was outstanding… Had the Tomahawk… Delicious! Our first time here, and celebrating our wedding Anniversary. All staff members went out of their way to make our evening special. 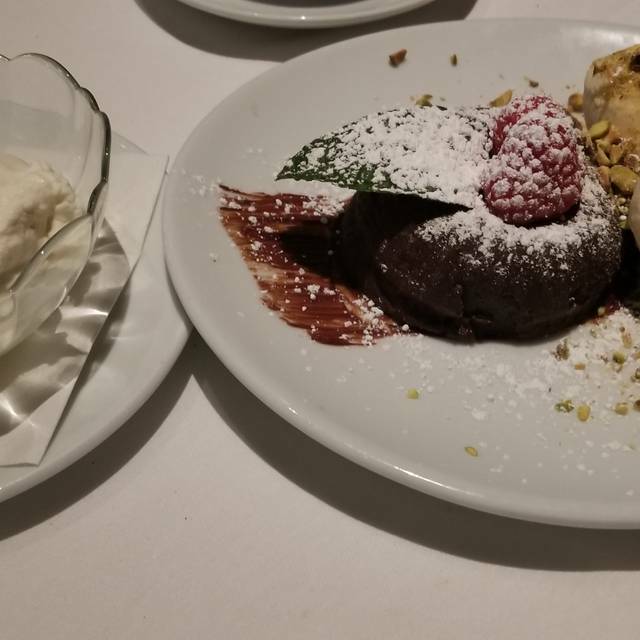 We couldn't be more pleased with the food, service, and staff! Food was cold and service hum drum. Big let down from previous dining. Tristan our server was wonderful!!!! Very, Very Nice, attention was over the top... best dinning experience yet! Everything was great. The moment we met the hostess, she was inviting , friendly and always smiling to the care our waiter gave us at our table . It was great ! This place is amazing, 1st and 2nd time the best experience from entering and leaving. Host and waiter and management are incredible. I would definitely will go on special occasion and social. Must go and experience the best service..
Food, service and environment was all perfect! Will most definitely dine here again! Really fantastic food and service at Fleming’s Coral Gables. I particularly like the wines by the glass offerings. To date, I have never been disappointed with the service at Flemings. 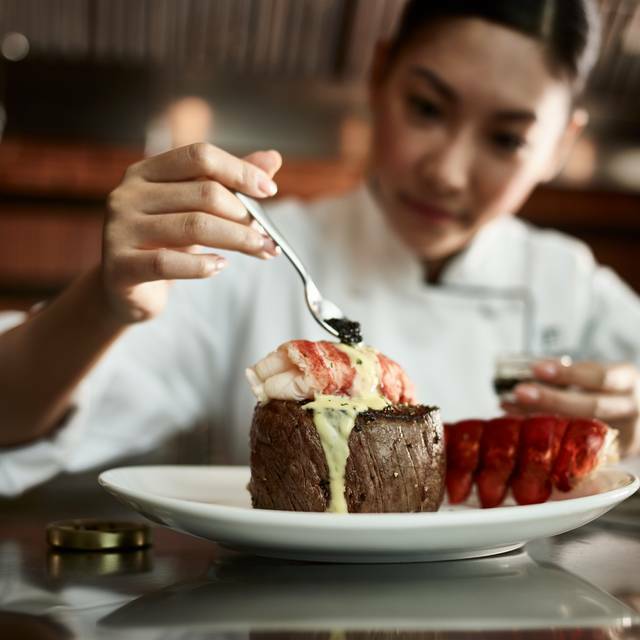 They always cook my filet to perfection. I highly recommend this place. Our food took longer than most other guests, including the appetizer. Waitress was great, but they kept on mixing us with the table next to us. First problem, I paid $8 for valet which used to be free only to find a big dent in my door car door. This used to be my go-to place for steak, however things have really gone downhill. The bread and butter which is standard, used to have more variety. My filet was butterflied, but half was done medium well as ordered, and the other half wasn't cooked as well. By the time I got to that side of the butterfly, the waiter was nowhere to be found to send it back. I'm not going to bother with this location again. The valet cost of $8 plus the damage done to my car is the last straw! Fleming's never disappoints. Celebrated my husbands birthday with an extraordinary meal. Service was impeccable! Can't wait to go back. Food is delicious. 1st class all the way. Excellent service, excellent food . It was our anniversary and they made it very special. A rose, confetti, card, champagne, and dessert. 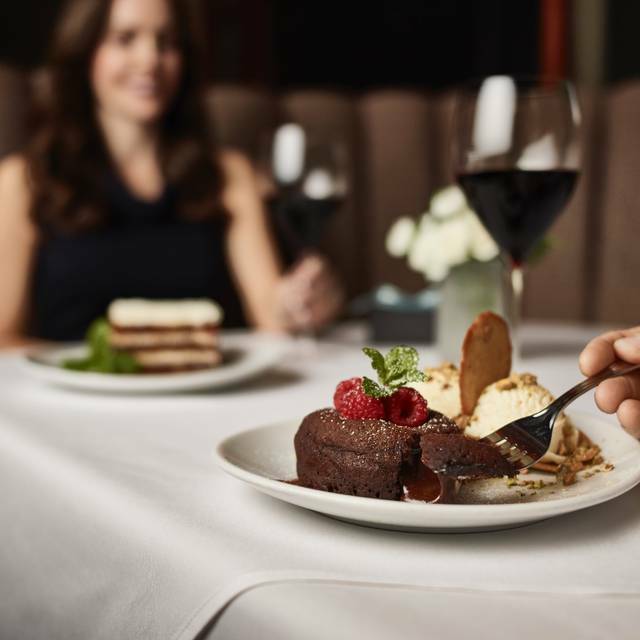 Our dining experience at Flemings was first-rate from top to bottom. The service was impeccable, the food was up to our expectations (par excellance) and the ambiance was very pleasant. An added touch was having our car brought up to valet as we left the table . Excellent service and outstanding food. Fleming's is a steak house so of course my filet was fantastic, but so was my husband's salmon, and the vegetables were great too. They kept our water glasses filled (a pet peeve of mine). We went for my birthday--could not afford to go there on a regular basis, but for a special occasion--this is a great place.